By car: parking will be at the Meadow Lane car park in Eton. SL4 6BY. Charges apply before 7 pm, free after. 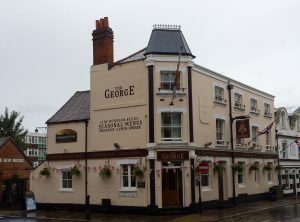 By Public transport: the George is easy walking distance from both Windsor rail stations. 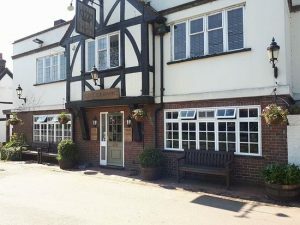 There is easy disabled access to the Hop House (accessible by rear gates), but there are steps to the toilets which are in the main pub building. It was built around 1750. A neat room for us here. Great food as well. Plenty of Car parking around the venue .